The goal of obesity medicine is to address the environmental, social, genetic and behavioral causes of obesity, helping people to lose weight and maintain a healthier lifestyle. This is a multidisciplinary medical specialty that relies on the expertise of bariatric medicine physicians, nutritionists, behavioral specialists and personal fitness trainers. Someone who specializes in obesity medicine is called a bariatrician, or weight loss doctor. Bariatricians are familiar with the causes of weight gain and customize weight loss programs to meet the needs of each person wishing to lose weight. The longer you struggle with excess weight, the greater your risk for developing obesity-related diseases becomes. For someone who is overweight, losing just five to 10 percent of their excess weight is likely to produce health benefits, like improvements in heart health and blood sugar levels. Being overweight or obese can also increase your risk for certain cancers, including colon, prostate and breast cancer. Obese people are also more likely to experience chronic pain, such as migraine headaches, back pain and osteoarthritis. By losing weight, it is possible to reduce your risk of developing these chronic conditions. 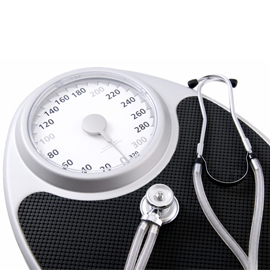 Medical weight loss programs use science-based treatment to address obesity. This makes obesity medicine programs more successful than commercial weight loss plans. Physician directed weight loss programs feature customized treatment methods that address the dietary, physical, emotional and environmental aspects of weight gain. Everyone gains weight differently, and this makes the process of losing weight different for each person, as well. Obesity medicine programs provide access to proven tools to help people break through obstacles that have held them back in the past, and will enable them to finally achieve their weight loss goals. How Do Hormone Pellets Work? Testosterone Therapy For Men: How Does It Work? Osteopathic Treatment: Will It Help My Knee Pain?